The Russia investigation snared another associate of President Donald Trump with the arrest Friday of self-described political "dirty trickster" Roger Stone. The charges brought by special counsel Robert Mueller reveal new details about how the Trump campaign sought to benefit from the release of hacked material damaging to Hillary Clinton. But they don't definitively answer the key question in the Russia probe: Did the Trump campaign coordinate with Russia's efforts to sway the 2016 election? Some takeaways from the indictment against Stone. WHAT'S STONE ACCUSED OF DOING? Lying to Congress. Obstructing the House intelligence committee's Russia investigation. And witness tampering. The charges stem from what prosecutors say were Stone's efforts to conceal the nature of his discussions during the 2016 election about WikiLeaks, the anti-secrecy group that released thousands of emails stolen from the Democratic National Committee and Clinton campaign chairman John Podesta. U.S. intelligence agencies and Mueller's investigators have said Russia was the source of that hacked material. Prosecutors say Stone lied during his Sept. 26, 2017, testimony before the House intelligence committee about his interactions regarding WikiLeaks and his communications with the Trump campaign. They say he also falsely claimed he didn't have documents requested by the committee when he did. And he is accused of "corruptly" persuading one of his associates, New York radio host Randy Credico, not to testify before the House intelligence committee in an effort to conceal Stone's false statements. Stone has denied any wrongdoing, saying any misstatements he made were "immaterial and without intent." He's a longtime political consultant, a purveyor of conspiracy theories and an unabashed reveler in his own reputation for underhanded tactics. A self-described "dirty trickster" with a tattoo of former President Richard Nixon on his back, Stone served on Trump's campaign during the early months of the 2016 presidential race. Though he was quickly ousted from the campaign, he has remained an ardent defender of the president and a colorful critic of the Mueller probe. 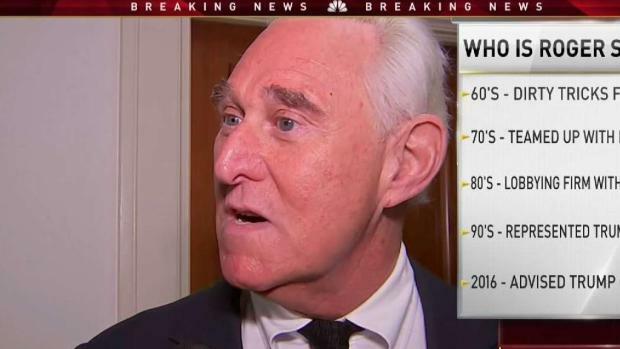 The indictment and Stone's response Friday only served to build on that reputation. The document quotes Stone encouraging Credico to cover up Stone's false statements to the House intelligence committee by doing "a 'Frank Pentangeli,'" a reference to a character in "The Godfather: Part II" who lies before Congress. Stone, who calls Credico a "rat" and "stoolie," is also quoted as threatening to take Credico's dog, Bianca, away from him. After his release from custody Friday, Stone called in to the conspiracy theory show, Infowars, from the courthouse to dispute the charges. He branded the conversation an "exclusive." He then walked out smiling to speak to a crowd of reporters and a live cable news audience, torching his arrest as politically motivated. WHAT DOES THE INDICTMENT SAY ABOUT THE TRUMP CAMPAIGN? It says that people in the highest levels of the Trump campaign were trying to find out WikiLeaks' plans to release derogatory information on Clinton, and Stone was the chosen conduit in that effort. The indictment says that by June and July 2016, Stone told senior Trump campaign officials that WikiLeaks had obtained documents that could be damaging to Clinton's campaign. Then later, after WikiLeaks released hacked material from the Democratic National Committee on July 22, 2016, the indictment says a senior Trump campaign official "was directed" to contact Stone about additional releases and "what other damaging information" WikiLeaks had "regarding the Clinton campaign." The indictment does not name the official or say who directed the outreach to Stone. It notes that Stone then continued to pass information along about WikiLeaks and quotes conversations he had with Steve Bannon, who served at the highest level of the campaign and later joined the White House. The indictment doesn't accuse any campaign officials of wrongdoing or say that they coordinated directly with WikiLeaks. It also doesn't say that Stone had any special knowledge of WikiLeaks' plans. HOW IS THIS BAD FOR TRUMP? It adds to the growing list of Trump associates who have been charged in the special counsel's probe. And it renews questions about why so many people around the president have been accused of lying in the Russia investigation. Stone is the sixth Trump associate charged by Mueller, joining a cast of Trump's former national security adviser, his campaign chairman, his former personal lawyer and two other campaign aides. The indictment also paints an unflattering picture of the president's campaign. It shows that people in then-candidate Trump's inner circle were actively trying to politically benefit from material stolen from Democratic groups and the Clinton campaign during the election. HOW IS THIS GOOD FOR TRUMP? The president himself isn't accused of a crime. Stone isn't implicated in any conspiracy with WikiLeaks or the Russian government, and neither is anyone else in the campaign. 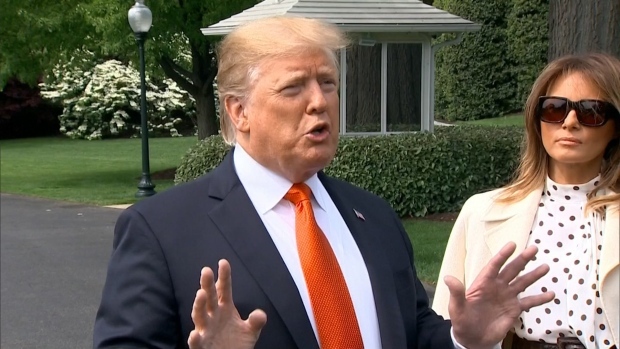 That lack of direct allegations of colluding with Russian election interference provided new ammunition for Trump and his allies to attack the special counsel's probe. After the indictment was announced, White House press secretary Sarah Huckabee Sanders said the charges against Stone "don't have anything to do with the president." Trump lawyer Jay Sekulow said the indictment "does not allege Russian collusion by Roger Stone or anyone else." For his part, the president tweeted: "Greatest Witch Hunt in the History of our Country! NO COLLUSION!"